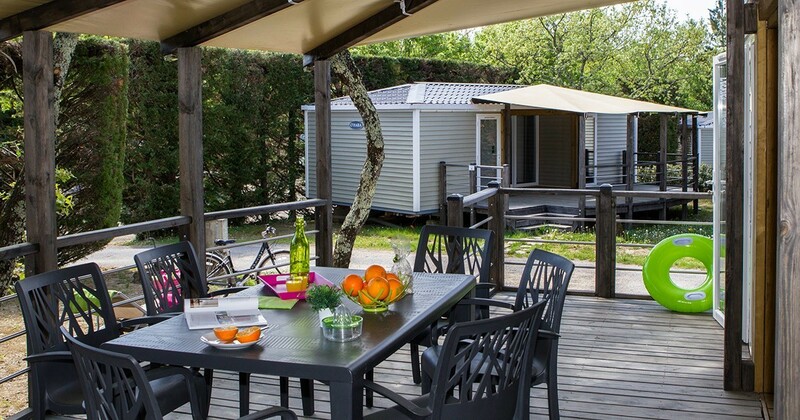 At the campsite Le Ranc Davaine, we offer, among other things, this Mobil-home Sunêlia Prestige for successful family stays. 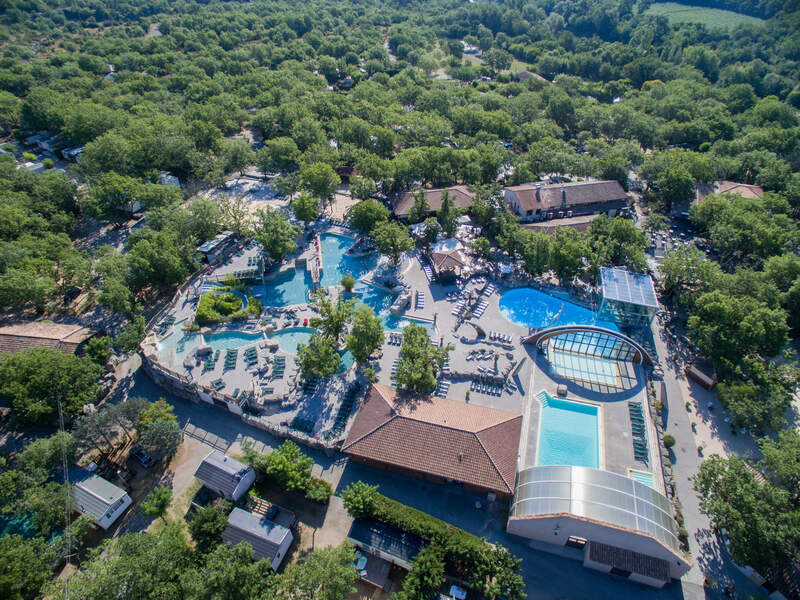 Ideally located in the heart of the green space of our holiday village, this luxurious rental offers you the opportunity to enjoy a total displacement. 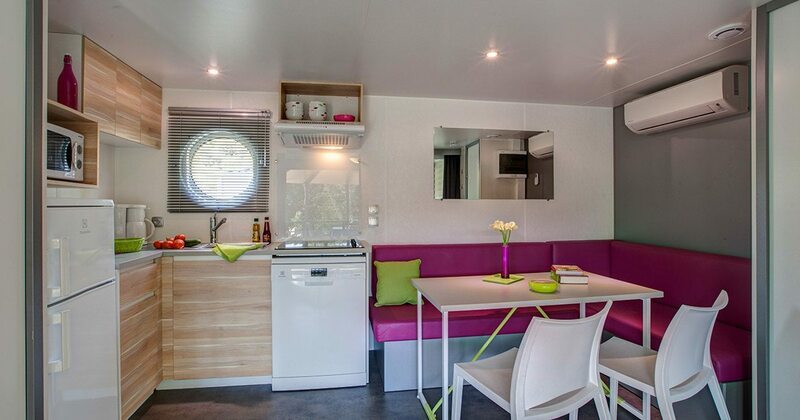 The Mobil-Home Sunelia Prestige 2 rooms is spacious enough to accommodate 4 to 6 people. For this it has two comfortable rooms. If one is composed of one double bed of 160x200cm, the other is equipped with two single beds. However, you can be entitled to 3 single beds if necessary in the second room. It is worth noting that the duvets and pillows are at the expense of the campsite if you opt for this holiday rental. If you are 6 people, you have at your disposal a living area with convertible seat for two persons and a dining area. 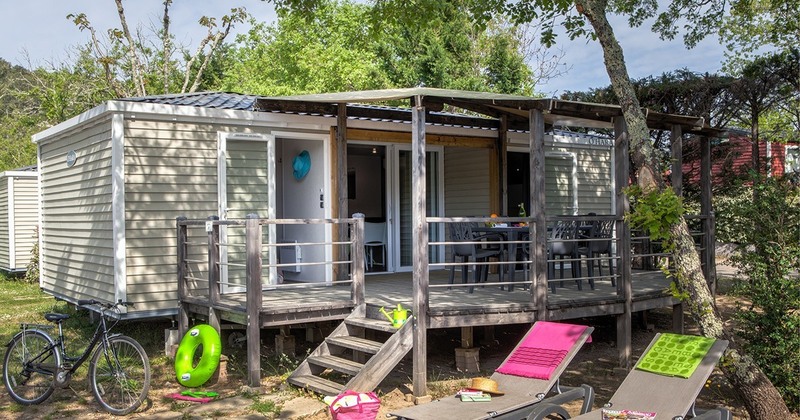 In order to make your life easier, we have also set up within this Mobil-home a small fully equipped kitchen: microwave, fridge, kitchen utensils... You will also enjoy two water rooms with washbasin, shower and WC. We have also provided all possible options on this mobile home to ensure maximum comfort during your stay. Thus, the interior is fully air-conditioned, heated and equipped with a television. You will even be entitled to a safe to keep your valuables. On the other hand, if you like to associate nature and comfort, this Mobil-home is all you need thanks to its large covered terrace. You can stay there at any time and in a very comfortable way as it is equipped with table and chair for family moments successful.